The Penguin has one twisted, but legendary, family tree. On FOX’s hit show Gotham we’ve seen the twisted relationship between Oswald Cobblepot (Robin Lord Taylor) and his mother Gertrude (Carol Kane). But we have yet to see his father step into the light…until now. So we’re all familiar with Oswald’s mother, the fabulous, fabulous Carol Kane. We don’t know a lot about his father… We just found out that I do have a father. And he will be showing up very soon, and he will be played by none other than Paul Reubens, a.k.a. Pee-wee Herman! He’s playing my dad! What! The! Hell! 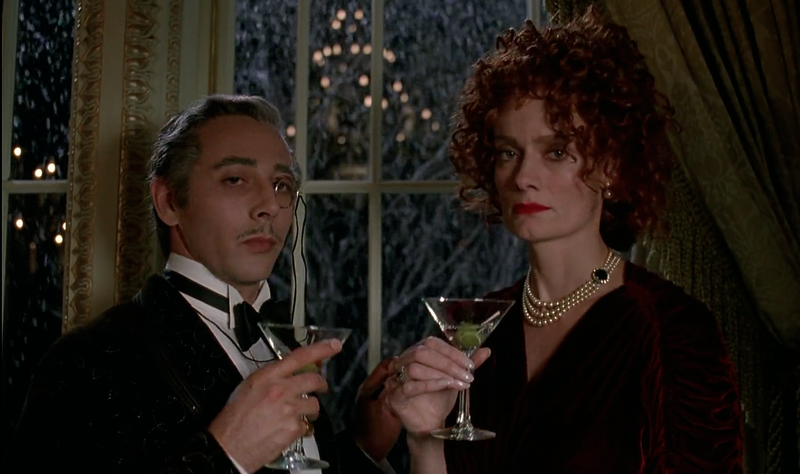 Reubens will be reprising a role that he had in Tim Burton’s Batman Returns 23 years ago. It’s safe to say that the TV version will vary from the film’s portrayal, but by how much we just don’t know. I’d love to see a complete 180 degree turn and instead of an upper crust well-to-do who denied his son he’s actually a lowdown scummy criminal who tries to ride his son’s coattails after he sees how successful Oswald can be. It’s not known exactly when Reubens will make his debut, but as soon as we know we’ll post it right here on Indierevolver! This entry was posted in Breaking News, TV and tagged Batman Returns, Gotham, Paul Reubens. Bookmark the permalink. Who Gets Final Say in the Theatrical Release of ‘Star Wars: The Force Awakens’?